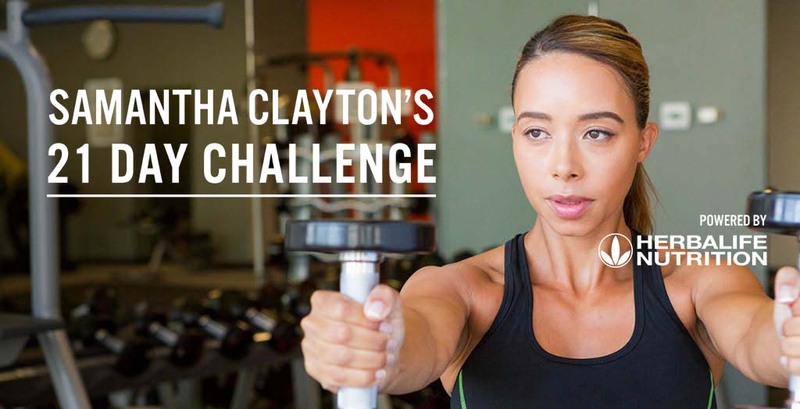 Welcome back on Day 18 of the Herbalife Nutrition 21 Day Challenge with our fitness expert Samantha Clayton. It’s Total Body workout day. Congratulations for getting all the way up to today, when you will be focusing on exercising all of your muscles from top to toe! It’s extremely effective, but it’s very important to get your hydration on point. Our Olympic gymnast Sam’s choice is Herbal Tea, that can give you that extra added energy. This can help you to get through your workout and maybe push your limits a bit harder. Herbalife Nutrition is here to support you to get your nutrition on point and to live a healthy and happy life. The 21 Day Challenge is a perfect way to kick start a healthier routine leading up to a better you. For guidance on the right nutrition to support your 21 Day Challenge, get in touch with your local Herbalife Nutrition Independent Member by clicking this link. Herbalife Nutrition’s distributor difference is one of the reasons which sets us apart from other brands. Not only are you receiving high quality products, but with the added bonus of personal one-to-one guidance from your Member. As always, you have the choice between two levels of workouts. Both levels of the programme are designed for anyone, anywhere. You can do it any time that suits you as each exercise is only 20 minutes. The best part is, no equipment is needed and you can do it at home. Don’t forget, you can repeat the workouts as many times as you want, depending on your need on the day. Just be careful to warm up before and then to stretch at the end of your workout. If you are new to fitness or restarting your health journey, the Beginner Workout is perfect for you. Professionally built by Sam Clayton exclusively for Herbalife Nutrition, you will find easy options to work your body from top to toe. If you are more experienced in the world of fitness and would like to bring your workout to the next level, the Fit to Fitter workout is the right choice for you. It is promised to get your body moving! So good luck for today’s workout and enjoy your exercise!